SOUTHFIELD, MI, June 8, 2018 – Micro Auto Paint & Supplies (Micro) won the BASF Automotive Refinish 2017 Distributor of the Year award at the annual ColorSource conference. Approximately 135 single-line distribution partners attended the conference in Scottsdale, AZ. The four-generation, family-run distributor recently celebrated its 70th year in business, opening its doors in 1948 as a re-chrome bumper business, followed by expansion into automotive paint. Hicks attributes the long-run success to his Micro-BASF team that works together to constantly improve service to customers. 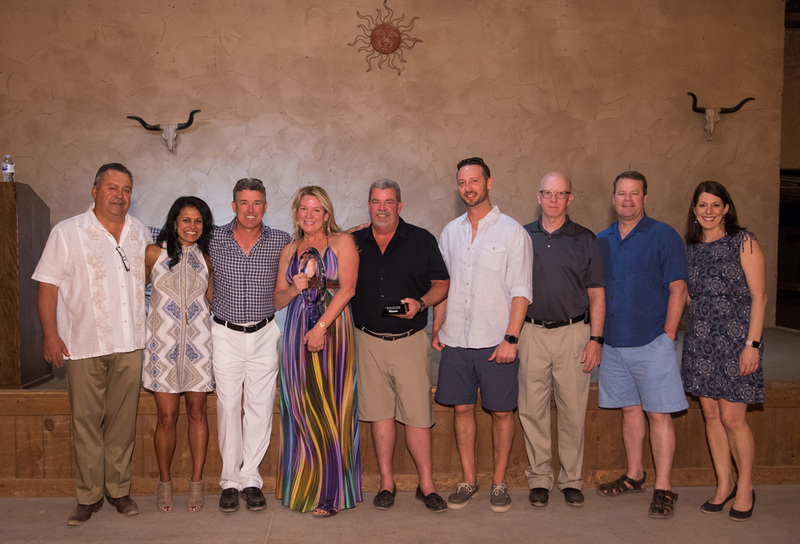 Micro is a second-time winner of the BASF Distributor of the Year award. ColorSource is a network of BASF single-line distributors dedicated to offering innovative BASF products backed by the highest levels of customer service. To learn more about joining the winning team and becoming a ColorSource distributor, please contact Shefali Cromer at Shefali.cromer@basf.com. BASF’s Automotive Refinish business manufactures and markets coatings for the collision repair, commercial fleet and automotive specialty markets. Its paint products are supported by technical training programs, advanced color information systems, business management and planning tools. For more information visit www.basfrefinish.com.